A veteran Hong Kong actor was killed off in five different TV shows in just one day last week, a probable record number of on-screen deaths for an actor over a period of only 24 hours. 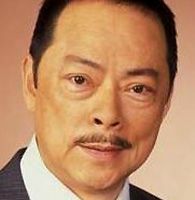 TV viewers witnessed the death of five characters all played by Law Lok Lam in five different shows, reports the South China Morning Post. While the 63-year-old acting star is still very much alive, the character he played for Hong Kong broadcaster TVB in ‘Grace Under Fire’ got beaten to death during prime time on 6 April. On the same day he also starred as Ming emperor Zhu Yuanzhang in ‘Relic of an Emissary’, a programme in which his character died of an illness. On 7 April, the characters he played in TV shows ‘Police Station No. 7’ and ‘Virtues of Harmony’ all took their last breaths as well. Though neither of their deaths were shown on screen they were discussed in the programmes. Viewers also watched the actor vomiting blood on the same day before passing away in another show, ‘Fate to Fate’. TVB have branded the multiple deaths "purely a coincidence", and Law Lok Lam himself does not seem to mind what fate his on-screen personas face. "When I get a job, I don't care if my character in the drama will die. If he is supposed to die, he should go on and die," he said in a video posted on YouTube by the Hong Kong broadcaster. The reports of his many TV deaths have, however, reportedly upset his daughter.